When on the chair or wheelchair, it can be used as restraint strap to prevent patients from leaning forward and falling down, and it can also help patients to adjust sitting position. 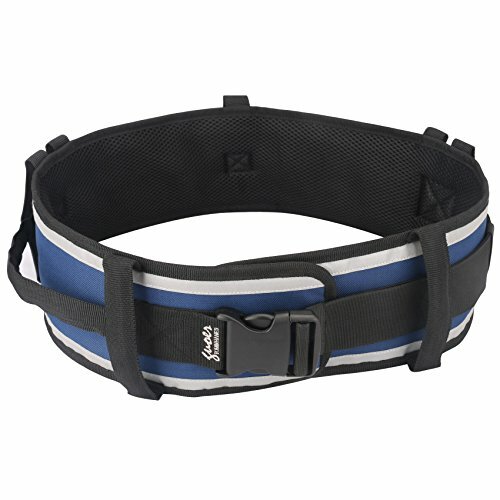 With user-friendly buckle and adjuster design, and moreover the adjuster is equipped with slip-resistant ring, the product can adjust the user's waist size so as to avoid slipping,Fits Waist Sizes: 36"-52"
The waist supporter can assist physically inconvenienced patients in sitting up, the movement of the wheelchair, getting up, supporting their going upstairs and downstairs, learning to walk and walking, etc. (which can be operated by one person or two persons);When on the chair or wheelchair, it can be used as restraint strap to prevent patients from leaning forward and falling down, and it can also help patients to adjust sitting position,Restraint Strap Maximum Fits Sizes:60"
If you have any questions about this product by GUOER, contact us by completing and submitting the form below. If you are looking for a specif part number, please include it with your message. Physical Therapy Cotton Gait Transfer Belt with Metal Buckle Beige Color 60"